Muriel cigars are produced by the cigar-manufacturing giant, Altadis USA. This well-known manufacturer has been making cigars since 1918, and is responsible for some of the world's most famous cigar brands. Muriel cigars were made famous in late 1950’s and 60’s by the popular singer and actress, Edie Adams, who was also the wife of comedian Ernie Kovacs. She popularized these cigars with her famous taglines such as “Why don't you pick one up and smoke it sometime?” and "Hey, big spender, spend a little dime with me". 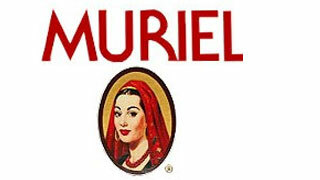 Muriel cigars are mild and aromatic smokes. They are crafted with pipe tobaccos that fully satisfy your craving. The cigars come in three variants—Muriel Coronella, Muriel Coronella Sweets and Muriel Magnum. While the Coronella has a length of 4⅝ and a ring gauge of 31, the Magnum version is 4⅝ inches in length with a girth of 46½. The Coronella Sweets cigars are the smallest among the three, measuring 3⅞ x 20. These mild and aromatic Muriel cigars are perfect for your short coffee breaks. These smokes do not get overwhelm you with their flavors or strength. They are just the perfect size for those who are short on time. Each cigar is well-constructed and offers an effortless draw. Muriel cigars are rolled in natural wrappers. Pair them with a toasty coffee in the morning or a light rum in the evening.